Double Deep Fat Fryer with Oven in India, Double Deep Fat Fryer with Oven Manufacturer/Supplier in India. 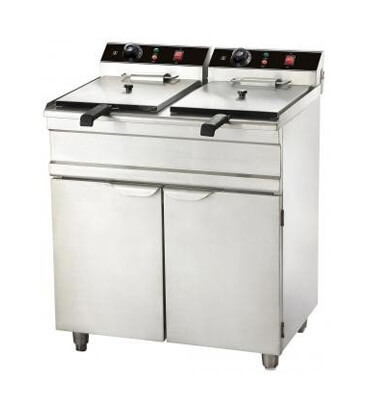 We have on offer Single Deep Fat Fryer with Dumping (Gas/Electric) in India, which are ideal for use in commercial settings like hotels, restaurants, etc. These are compact in size and enable hassle free frying, as there is minimal spilling of the oil. The machinery comprises of an oil tank and a basket with a long handle for easy handling. These are easy to use and maintain and have been economically priced.